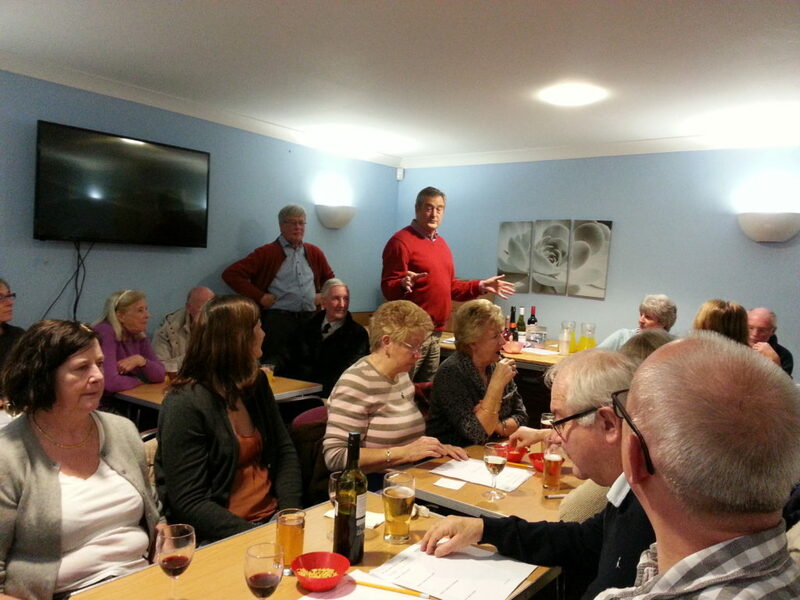 The Quiz and Curry evening at the Fishbourne Centre on Friday 27 January was a storming success with more than 60 people squeezed into the Blue Room for a stern test of both grey cells and taste buds. With FTC member Gavin Argent serving the questions and the centre’s Lynne dishing up the curry, both passed with flying colours. Gavin’s questions proved a tough but fun challenge. With rounds on tennis etiquette, celebrities and general knowledge among others, many bases were covered…and if nothing else we do all now know the Norwegian word for condom. Scoring was so tight among the 15 teams that there had to be a recount. Winners with a splendid 40 points were The Four Players, made up of membership secretary Ivor, Lynne, and Ray and Anni Lyon. They won day passes to the Goodwood Health Club and four bottles of wine. Right behind with 39 points were the joint runners-up of The Relics (Bryan and Val’s team) and the Fizzy Quizzers (Nicola and David Phizackerly, and Martin and Mandy Davies). They took home the chocolates. Gavin decided the best team name of the night was Let’s Get Quizzical and that team also won a box of chocs. Overall the evening was a super fun event enjoyed by all, with so much laughter and cheering you could barely hear yourself think, good food and plenty to drink. And despite the incredibly reasonable ticket price of £7.50 a head the club will still have managed to make a healthy amount out of the evening for the Floodlight Fighting Fund. With thanks to all who took part, a special thank you to quizmaster Gavin (who now surely has a job for life) and the Fishbourne Centre for looking after us.